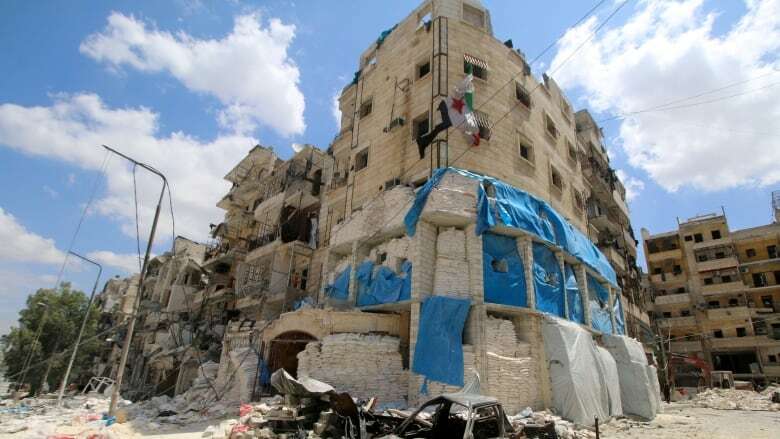 An MSF-supported hospital in the northern Syria city of Aleppo is now a pile of rubble. Airstrikes brought down the building on Wednesday. 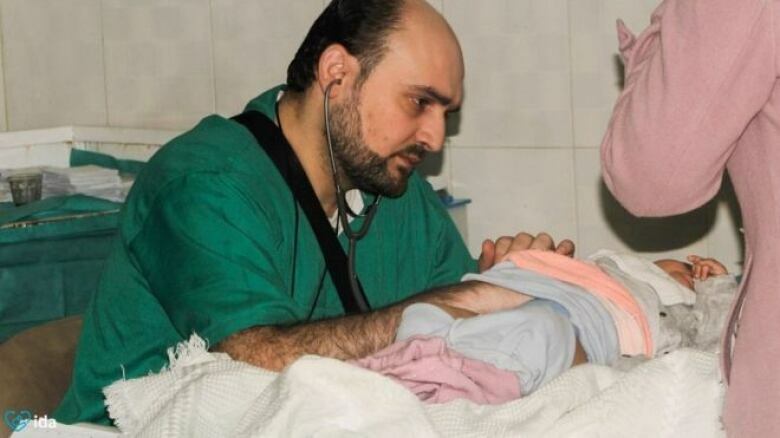 Reports say dozens are dead — including one of the last pediatricians left in the rebel-held city. "It's terrible and horrible," Dr. Abdul Aziz, a surgeon in Aleppo, tells As it Happens host Carol Off. "Yesterday night, after attacking this hospital, there was another attack close to this area. 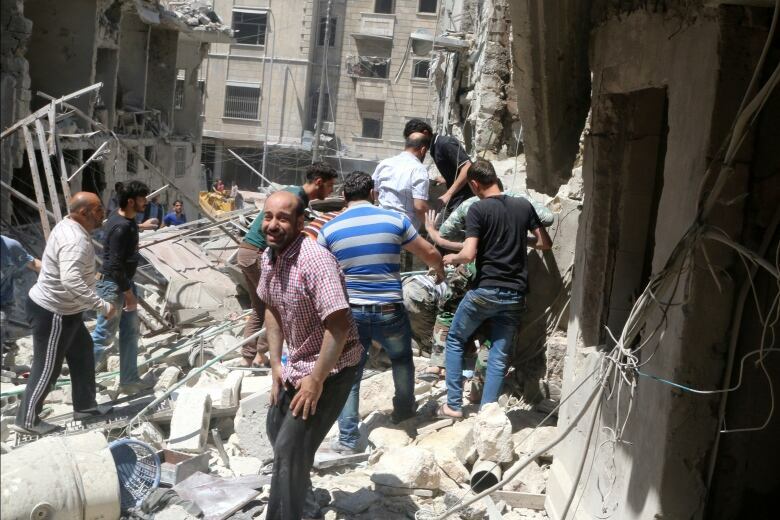 Today, there's more than 18 attack airstrikes on Aleppo. The total number of dead today, with yesterday, is more than 60 up until now. The staff inside Aleppo — the doctors — are exhausted," says Aziz. Aziz helped found the bombed hospital, al-Quds, four years ago. We are not using the doctor's real name to protect his identity. Among those killed in the attack on the hospital, was a pediatrician named Dr. Muhammad Waseem Maaz. Maaz and Aziz were close friends. "We lost one of the best hearts in this world. He always smiled. We asked him, 'Please just take a rest.' He said no. He's now 36. He's unmarried. He said, 'How can I marry? I would be busy for my family. I would not be able to work for those babies who are crying everyday," says a tearful Aziz. A man reacts at a site hit by airstrikes in the rebel held area of al-Kalaseh neighbourhood of Aleppo, Syria, April 28, 2016. (Abdalrhman Ismail/Reuters)Both the Syrian and Russian governments have not claimed responsibility for the attacks. Aziz, however, is confident that one of them is responsible. "It's a very easy answer. One of them has airstrikes. One of them can do it," says Aziz. "One of them is the one who did this murder." "We're losing our doctors. We're losing our staffs. The number of doctors inside Aleppo is going down day by day. It's a crisis already. I don't know what the world is waiting for. We don't like to be refugees anywhere in the world. We would like to be refugees in our country. I love my country. I'd like to stay in my country," says Aziz. For more, take a listen to our full interview.